There's no doubt about it - managing employee schedules is tricky. 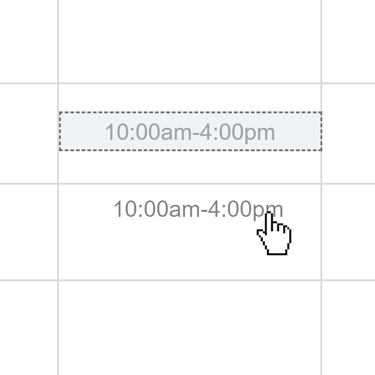 That's why we designed our scheduler to look and feel like an Excel spreadsheet - simple, intuitive and no training required. 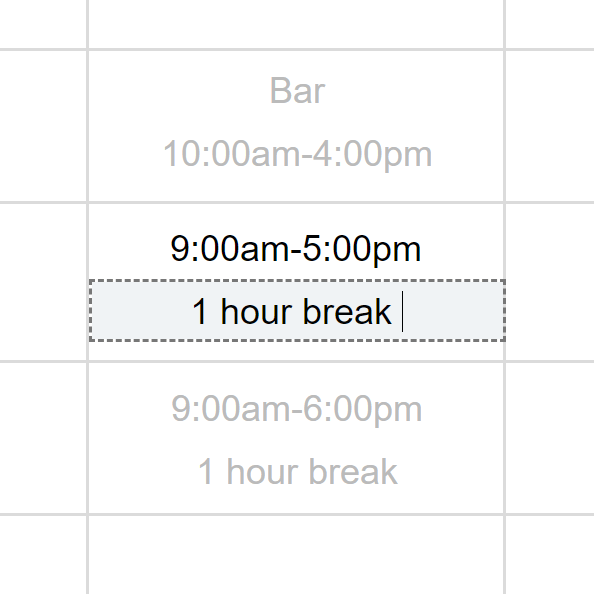 Working on your schedule is just like working in Excel - click on a cell, type your text and hit enter. What you type is up to you, but if you enter shift times ("9-5" or "9:00am-5:00pm"), we'll use these hours for shift reminders and reporting. Our free-form editor lets you add as many items to as many cells as you like. Where they're working on-site, from home or on the go, your team's schedule is always available to them. Employees can request shifts, submit cancellations, swap shifts, access their schedules (past, present and future), recieve shift reminders and post to the team noticeboard. Between the desktop site, mobile site and mobile apps, your team will always be connected. 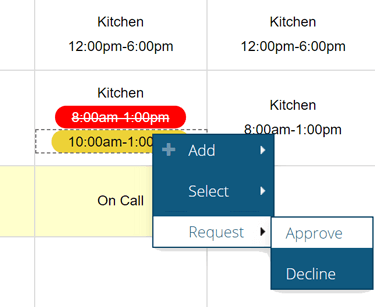 With our built in shift request process, your employees are able to request and cancel shifts online, directly from their schedule. We'll send you a notification, which you can use to respond to the request and notify the employee. No more paperwork, no more phone calls.